There are 10 of these Class 470 locomotive in MÁV stock, built as a follow-on order for Austrian ÖBB 'Taurus' Class 1116. 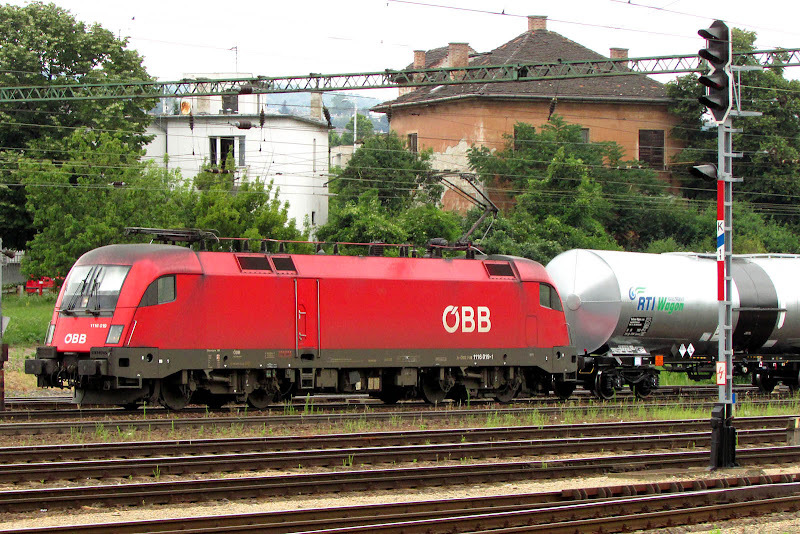 The 6400kW (8580hp) locomotives are members of the Siemens ES 64 family, and are also seen as DB Class 182. Class leader 470.001 is seen at Kelenfold, the location of all of this group of images. 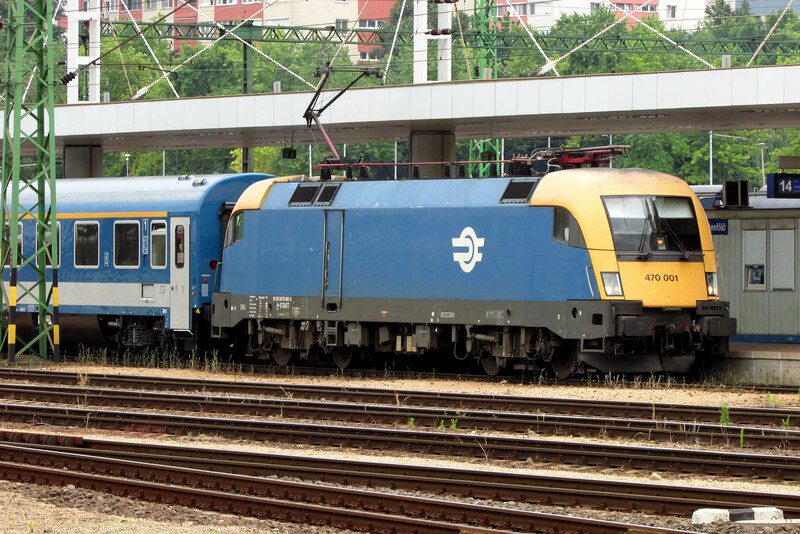 470.501 is the first of the associated series of 5 operated by GySEV. "Sisi" was Erzsébet Amália Eugénia (Elisabeth Amalie Eugenie), Empress Elisabeth of Austria (1837 - 1898). 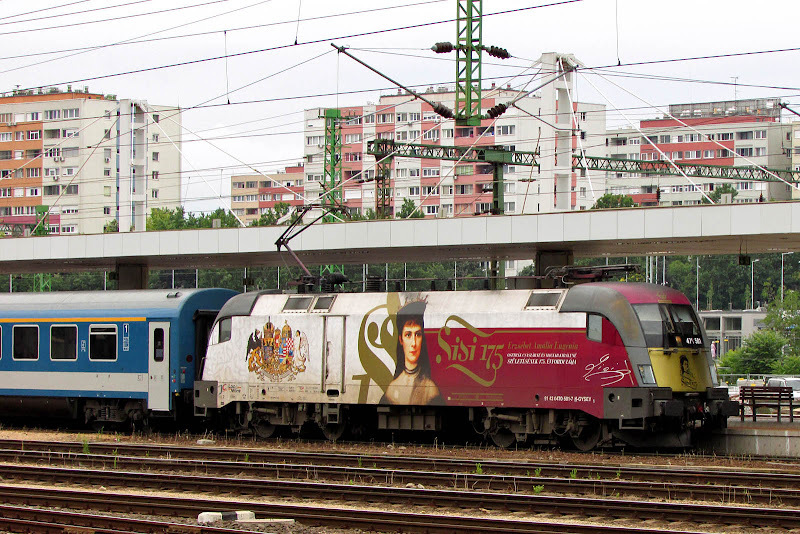 GySEV 470.505 which celebrates the Pan European Picnic with "Europe without Borders" theme. 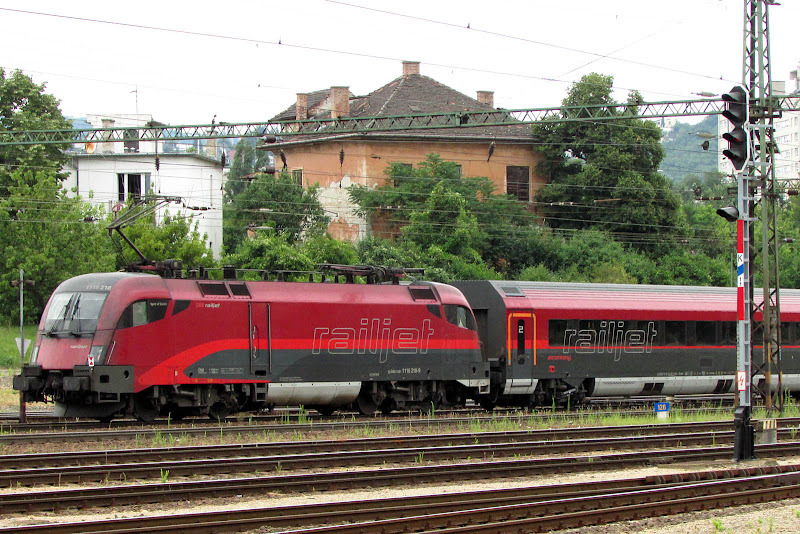 The first representative of Class 1116 is 1116 007-6 , with a freight departing from Budapest for Austria. 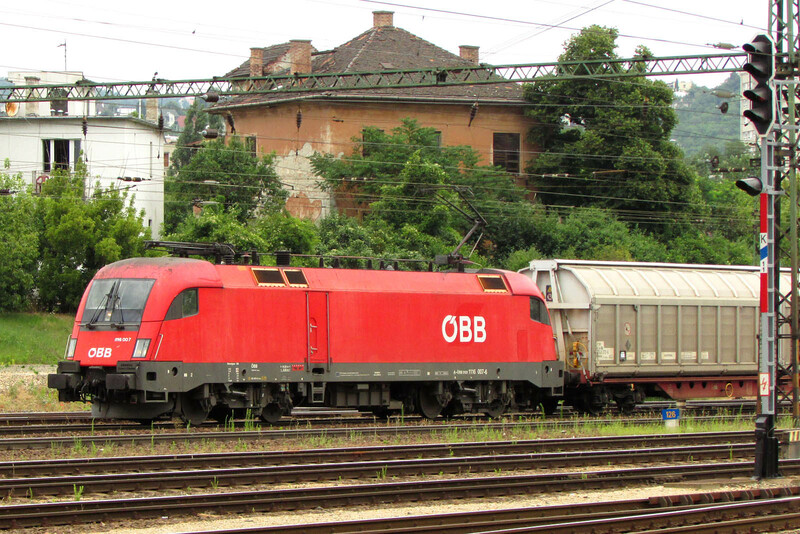 Also hauling freight is 1116 019-1. 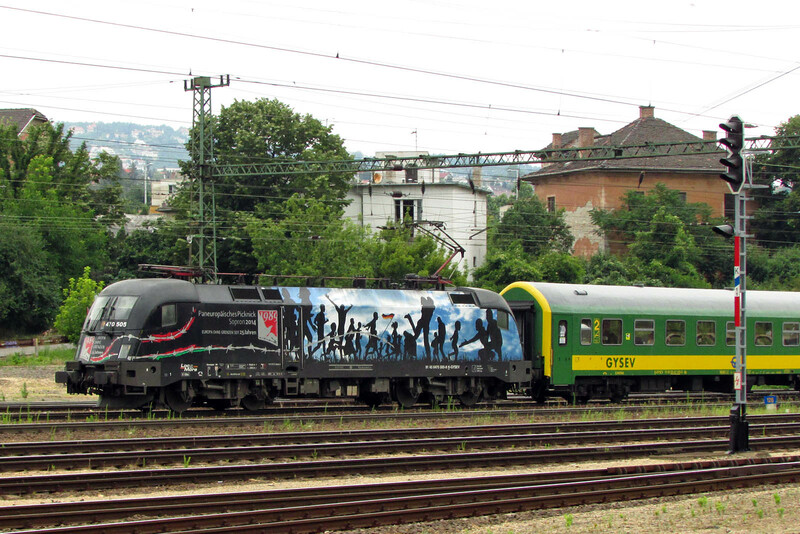 On the rear of a "railjet" heading towards Budapest Keleti is 1116 218-9. 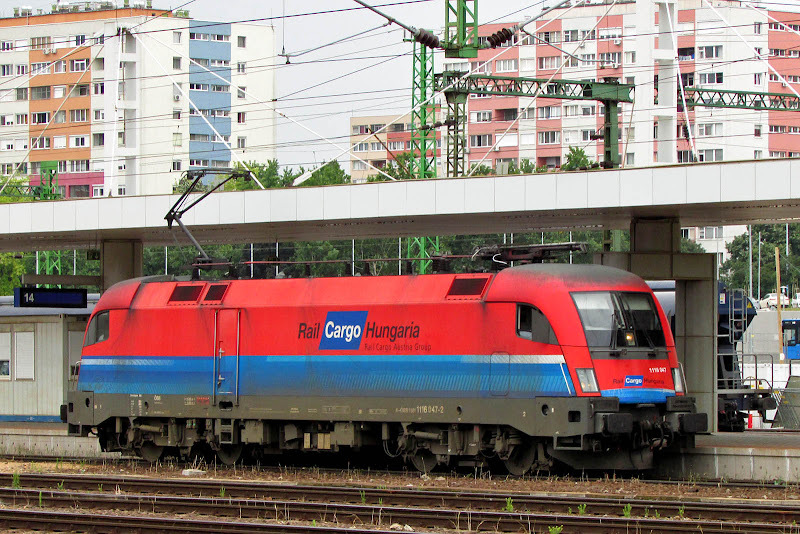 1116 047-2 is hired to Rail Cargo Hungaria, part of Rail Cargo Austria Group part of ÖBB, which acquired MÁV Cargo, .